We are proud to introduce the Migun Thermal Massage bed system now in Ontario and to the Canadian public. Our mission is to introduce and to educate to as many Canadians about our unique revolutionary Thermal Massage Bed System through our free trial system. Through hard work and dedication, we hope to have Migun demonstration centers for Canadians nationwide to experience first hand the benefits using the Migun bed. When you visit our center for the very first time you won’t be walking into a retail outlet type atmosphere. You will only be greeted by our courteous, friendly, pleasant, knowledgeable, non-pushy, relaxing, and professional staff that will explain what Migun demonstration center is all about and more importantly the health benefits using the Migun thermal massage bed system. If you are looking for a new alternative way to better health, beauty, and wellness then look no further. Just simply lie back, relax, and a push of button is all it takes to enjoy a massage like no other. 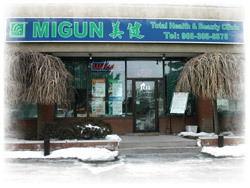 Should you have questions about our free trial system, demonstration center, revolutionary Migun thermal massage bed system, or would like a free consultation about becoming an authorized Migun dealer in Ontario or in the Eastern Canada region, please email us at info@miguncanada.com or contact us locally at (905) 305-8578 or Toll Free at 1-877-813-8601. We are very confident about our product; we want people to try out our product and experience the benefits themselves. It's only fair! We want to ensure our customers are completely satisfied before they take the product home. There is absolutely no obligation to buy; we want our customers to experience the benefits first. We believe that people should not have to feel obligated to buy something unless they are completely satisfied with the product. We are convinced that once you try our bed, you'll want one for your home, business, or office. "Mi" means beauty and "Gun" means health in Chinese character. Together, "Migun" represents the balance of beauty and health in life. Migun incorporates this philosophy in all the products they make. The green color has represents the meaning of life, safety, peace and future creation. The square box is the meaning of balance of universe and permanent truth. The star represents the meaning of Migun itself and each curve has a different meaning. 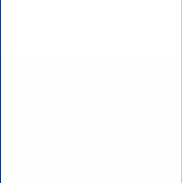 The small curve represents Korea , the middle curve represents the world, and the large curve represents the universe. Migun started from Korea and has grown to the world and beyond to the universe.